It's HOW expensive to rent in Colorado? 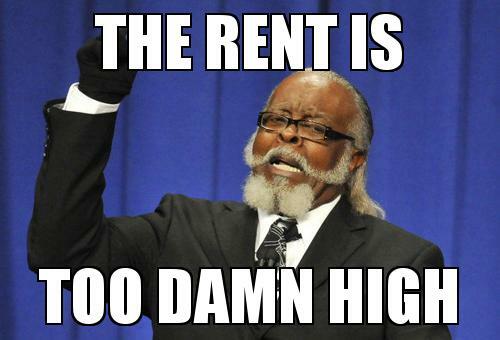 Is the rent is too damn high in Colorado? 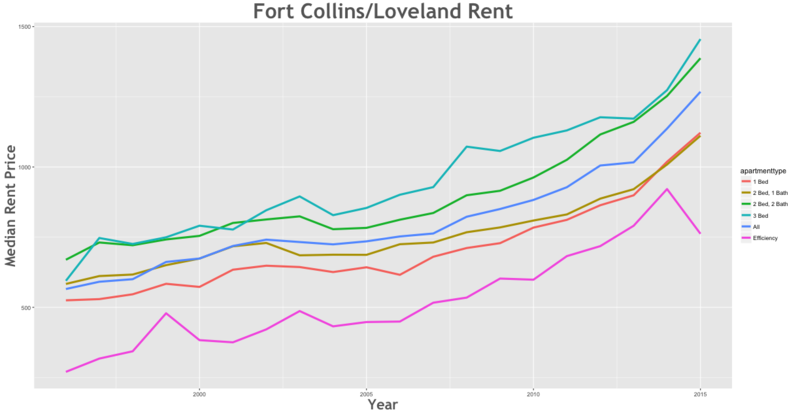 Let’s analyze data from the data.coloardo.gov Rent database and find some afforable places to rent around Colorado. Please note that the information collected from The Department of Local Affairs Housing Division may be inaccurate or incomplete. For example, rent prices in Aspen may not have fallen as much as believed. You should consult an outside listing service like Craigslist or Redfin prior to moving to a new area. The full methodology from DLAHD can be found here. How have rents increased between 1996 and 2015? Efficiency apartments in Fort Collins/Loveland saw the largest increase in rent between 1996 and 2015. During this 19 year period, rent rose 226.5% from $239.26 to $781.18. How have rents decreased between 1996 and 1996? 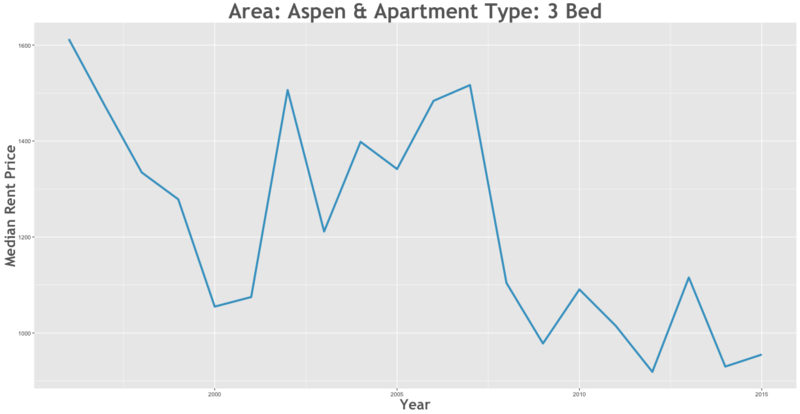 3 Bed apartments in Aspen saw the largest decrease in rent between 1996 and 2015. During this 19 year period, rent fell -40.31% from $1600 to $751.89. As of 2015, what are rent prices? 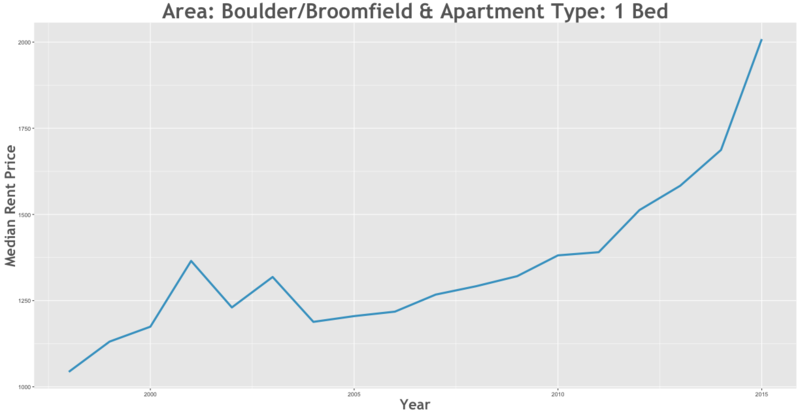 The most expensive apartment to rent is a 1 bed in Boulder/Broomfield which goes for $2008.62 per month. 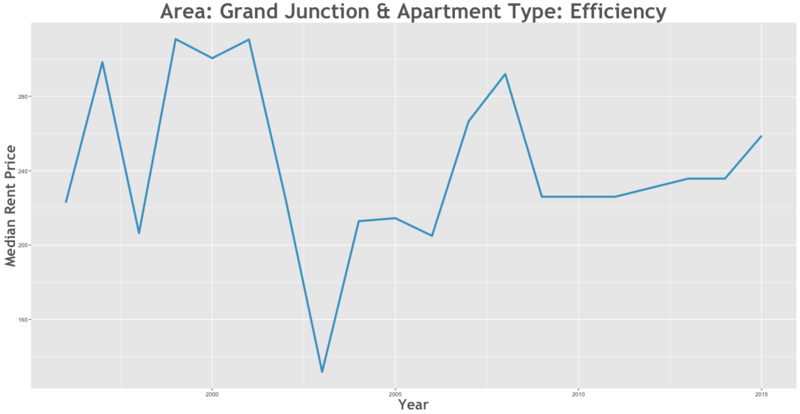 On the opposite end of the sepectrum, you can rent a very affordable efficiency in Grand Junction for $258.78 per month!